US stocks started declining dramatically recently and it’s looking as though the trend is likely to continue. 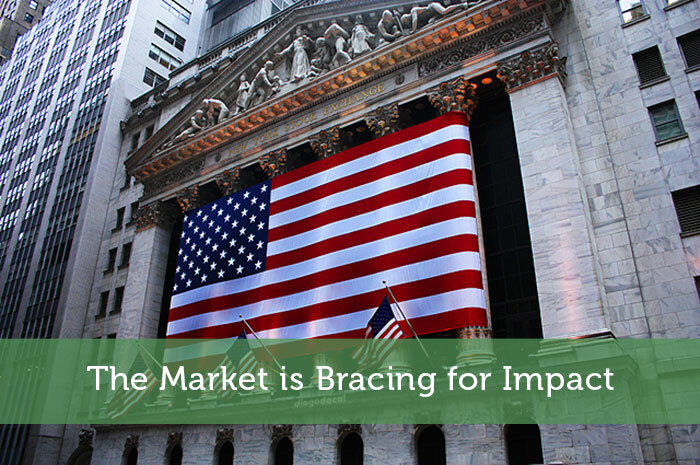 Today, we’ll talk about why the US market is having such a rough time and why the declines are likely to continue. Consumer Spending – The first problem the higher Federal Reserve rate poses to the US market is reductions in consumer spending. When the Fed increases its rate, consumers will be forced to pay more money into interest, leaving less money available for spending elsewhere. As a result, corporate earnings decline, leading to declines in the market. Commodities – The US market and other markets around the world are heavily dependent on commodities. It’s also important to note that commodities are largely priced using the United States dollar. Therefore, when the United States dollar increases in value, the cost of commodities outside of the United States become more expensive, leading to declines in demand. As the law of supply and demand tells us, when declines in demand happen, declines in value shortly follow. When the Federal Reserve increases its interest rate, it’s effectively increasing the value of the United States dollar. Historically, when the Federal Reserve increases its interest rate, we tend to see market declines that last for a period of several months. The problem here is how the Fed plans to increase its rate. Ultimately, they plan on a gradual rate increase. Therefore, by the time the market balances to the new interest rate, another rate hike is likely to happen, leading to a dangerous trend to come. It’s also worthwhile to mention that the US market isn’t only dependent on US occurrences. The reality is that around the world, economies are struggling. In a world where trade happens between economies, each economy is heavily dependent on others. Some of the biggest trading partners to the United States, including China, Japan, Europe and Brazil are all struggling, this is likely to continue adding to the resistance we’re seeing in the market. Where do you think US markets are headed and why? Let us know your opinion in the comments below!